Colorado Parks and Wildlife is reminding residents that deer may be especially aggressive as they enter their breeding season. Dog owners are warned to take special precaution. 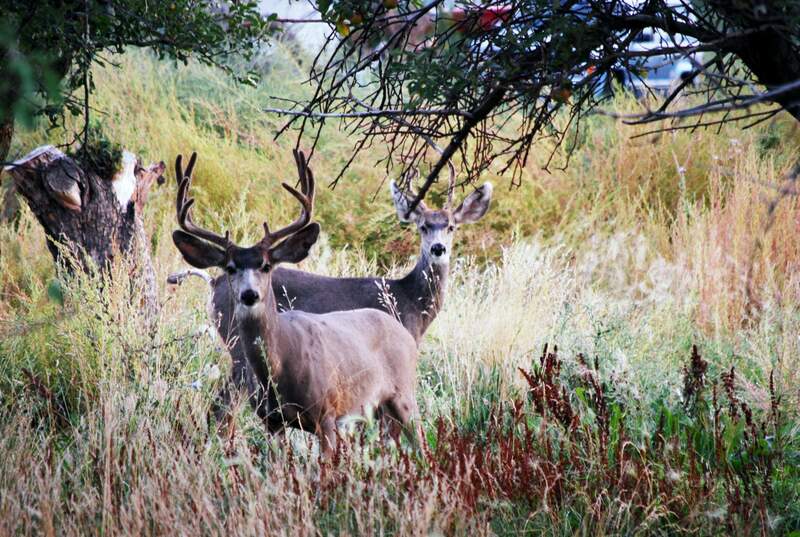 Colorado Parks and Wildlife is reminding residents that bucks are in the height of their mating season and can be aggressive, especially Durango’s resident deer herd. Lewandowski said bucks can pose a particular threat to dogs on a walk. Owners should keep a close eye on their pet, “especially if they see a buck wandering around – and there are several throughout town,” he said. Patti Baranowski was walking her 10-year-old mixed-breed dog, Chewy, around 6 p.m. Friday on East Third Avenue when a buck attacked. Baranowski said the buck emerged from behind a tree and attacked her dog, which was on a leash. She said the buck came back a second time. Chewy was taken to the veterinarian right away, suffering a puncture into his shoulder from the deer, Baranowski said. Chewy is on the mend and is expected to recover, she said. Don’t let dogs wander, keep them on a leash when out for a walk.If you see a buck while out walking, give it space.Don’t put out any food that could attract deer.Deer can easily jump a fence, so the backyard doesn’t necessarily protect your dog.Even if you’re walking without a dog, be wary of bucks.Lewandowski said it is not unheard of for a buck to attack a dog. A few years ago, a dog in town was killed, he said.